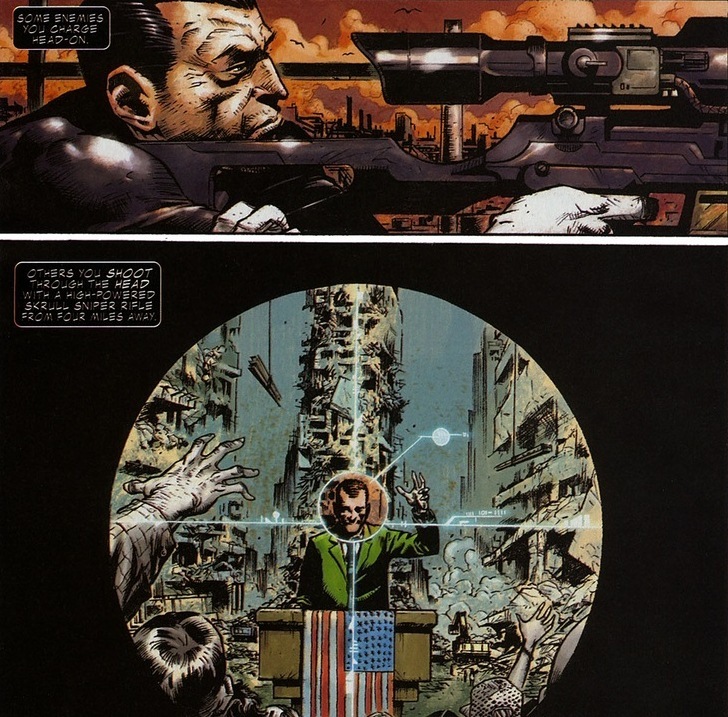 Today, we’re jumping right into the first few pages of Punisher #1, volume 7, written by Rick Remender and drawn by Jerome Opena. 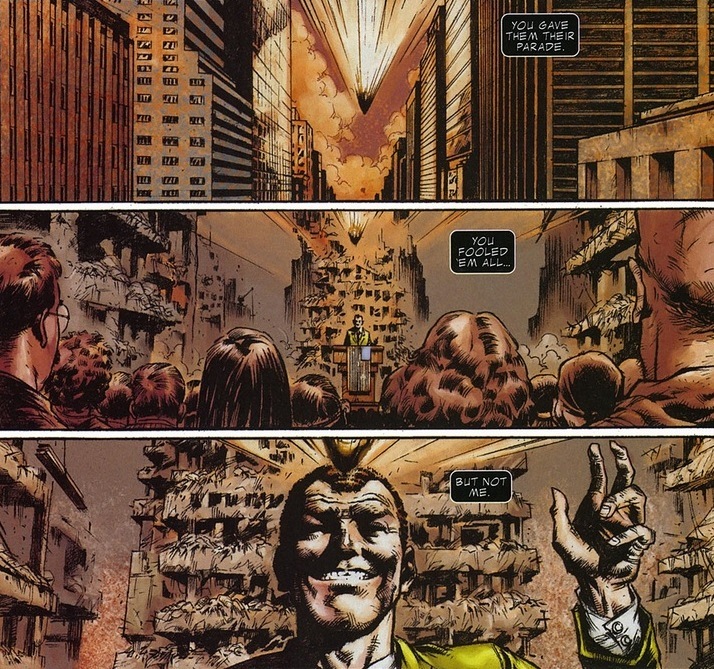 As you’ve probably realized, Norman Osborn won’t get assassinated at the beginning of his reign. And to be fair, in a superpowered world, the Punisher realizes that every mission he undergoes could backfire in every possible way. That’s why he’s survived for so long as a normal dude with guns and bullets. Unfortunately, this backfire has dire consequences. 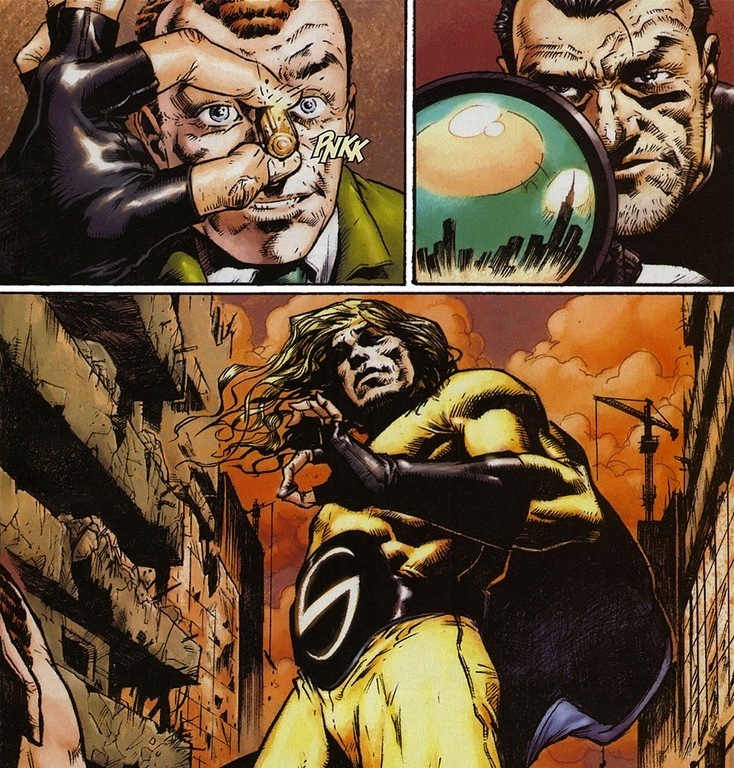 That’s the Sentry. Think of him as Marvel’s Superman, just with schizophrenia and none of the respect Superman gets. He literally has the power of a milli0n suns. Frank Castle’s screwed. 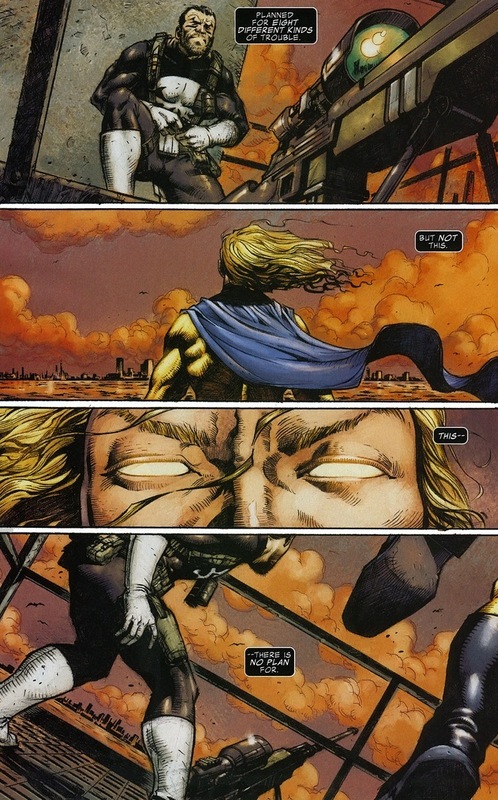 Seriously, the Sentry might as well be a god. 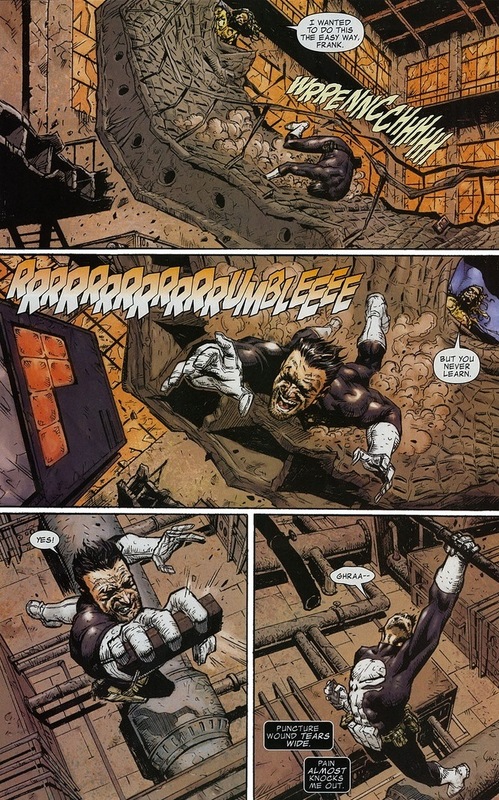 Let the Punisher fight a tidal wave with just his fists. 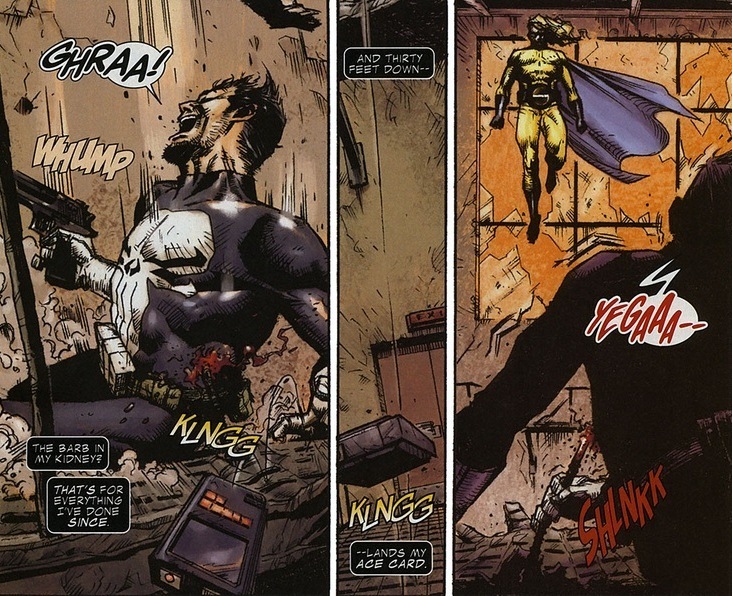 The Punisher, being the master tactician he is, makes the only possible choice. 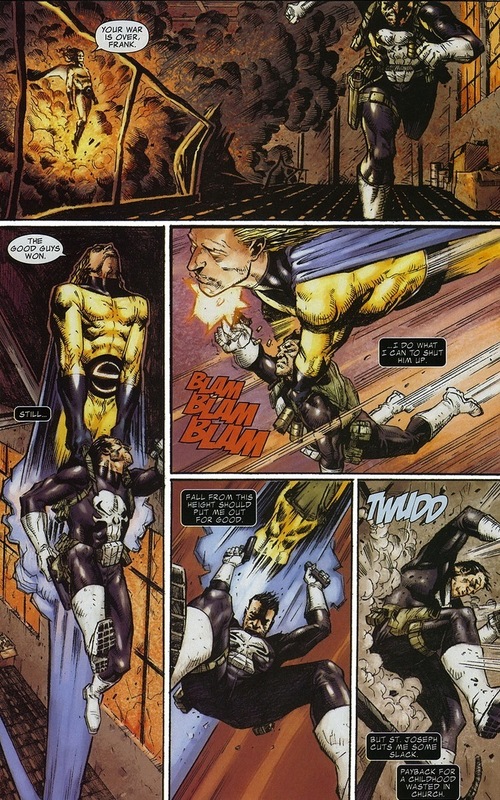 If you don’t read many Punisher stories, Castle doesn’t really do much talking. Noir narrating? You get that out the wazoo, just not a ton of dialogue. And he does bring up a good point. Both superheroes and supervillains love to talk. Love to argue or reveal. Love to insult or banter. Love to lecture or humiliate. 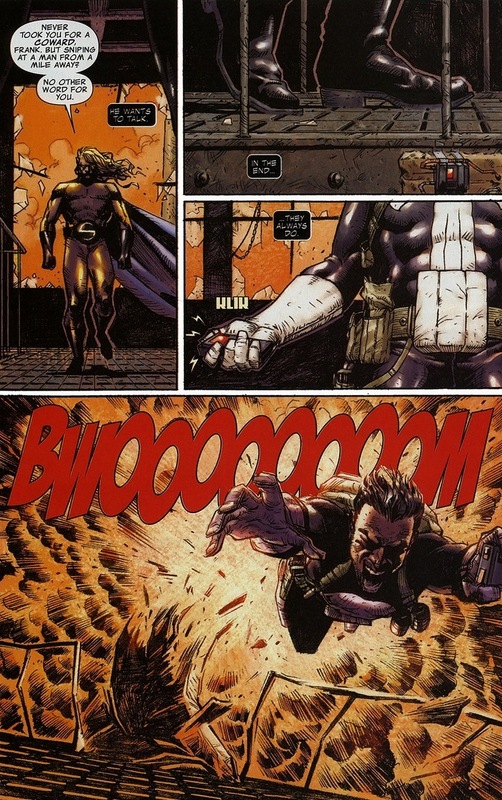 And luckily for the Punisher, that love saved his life — for a few more seconds. Ow. We know punches to the face are excruciating, but impalement by loose construction? Someone is going to be peeing blood for next month or so. Still, you must admire Castle for not breaking his stride after a pipe goes through half his body. 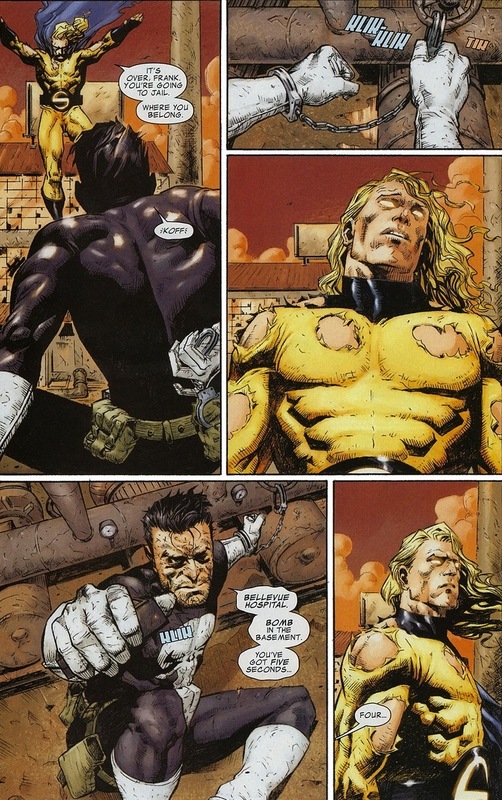 I understand superbeings like Sentry taking their time with goons like the Punisher. It’s almost cute to see how badly the prey scrambles to escape. 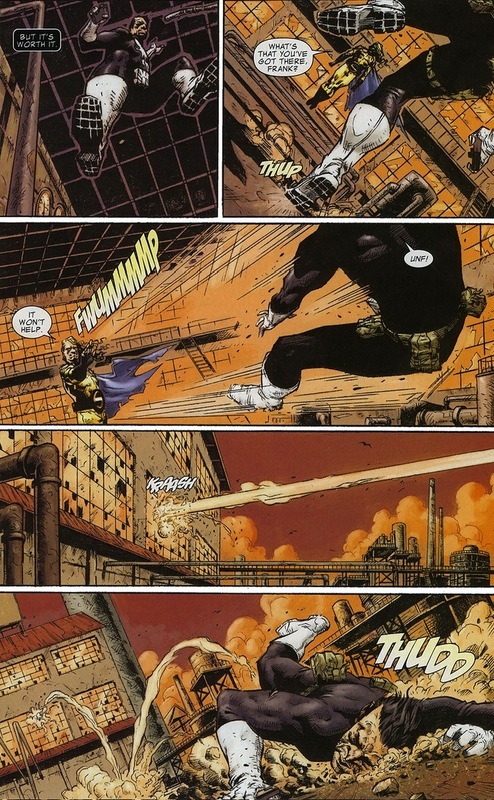 Maybe the Sentry’s just confused that Castle actually thinks he can get away. 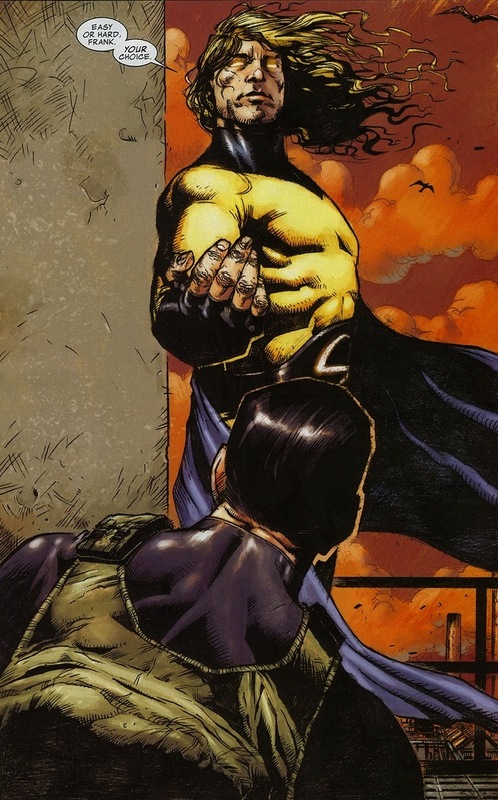 Trust me, there’s not a hero alive who doesn’t know what the Sentry is capable of. Million suns and all that. 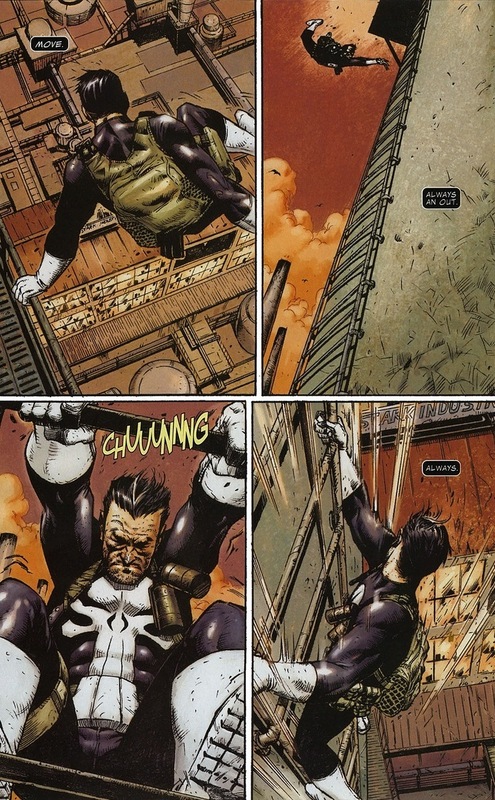 Ironically, no one takes more punishment in comics than the Punisher. I imagine if he takes off his shirt, his whole upper body has just turned into one giant scar. 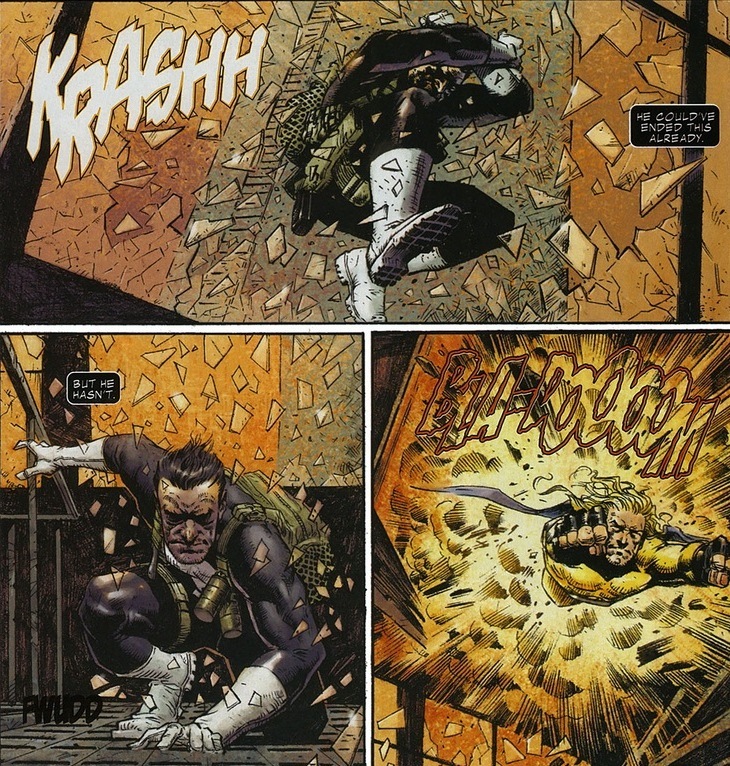 Time to bust out that trump card before Osborn’s attack dog flays him alive. You know Castle doesn’t kill innocents. Sure, he tortures and brutally murders bad guys, but all the lovely law-abiding folks have nothing to fear. Sort of qualifications for being a superhero. 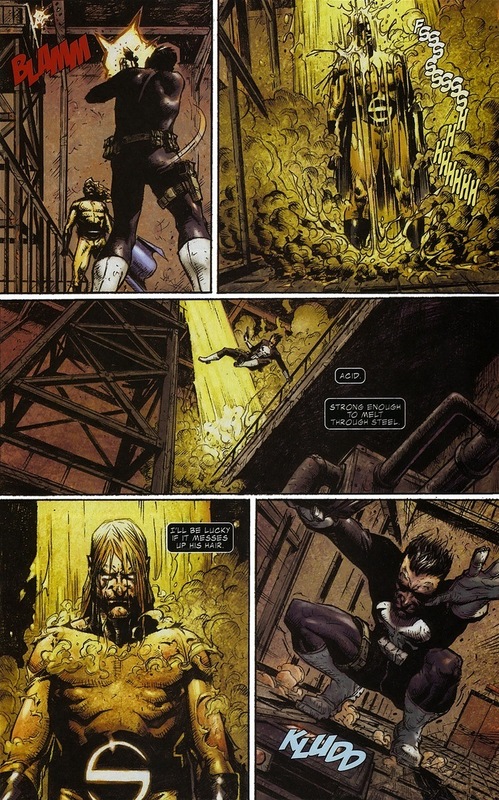 But if the Punisher knows the Sentry can reach and diffuse the bomb in time? The game changes. 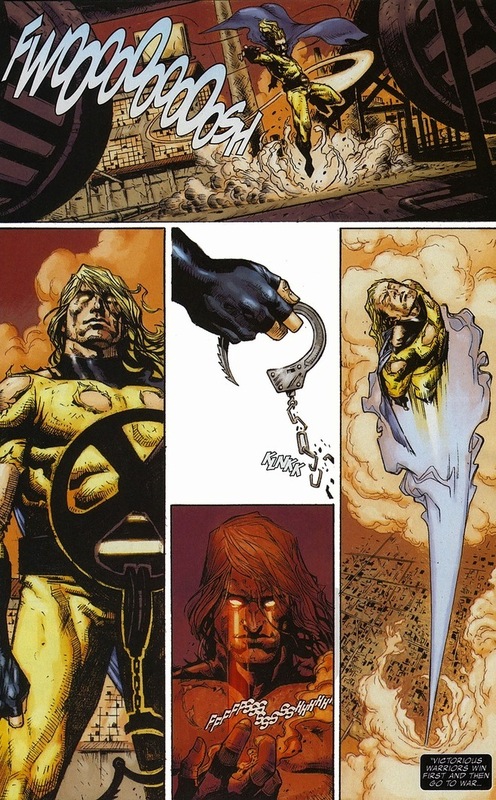 At the end of the Marvel event Siege, the Sentry finally met his defeat. Though it did take the entire Marvel roster of superheroes plus a dropped SHIELD Helicarrier. 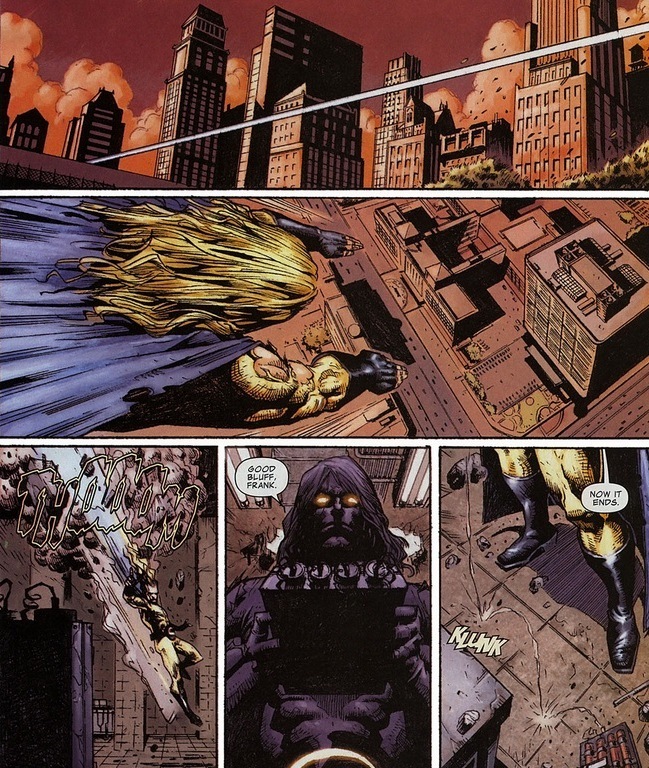 And the Punisher outran this monster. Not bad for a Vietnam vet.